Jake Slaughter. That just sounds like a baseball name. It is not every day that a baseball prospect gets selected in the MLB draft, let alone twice. 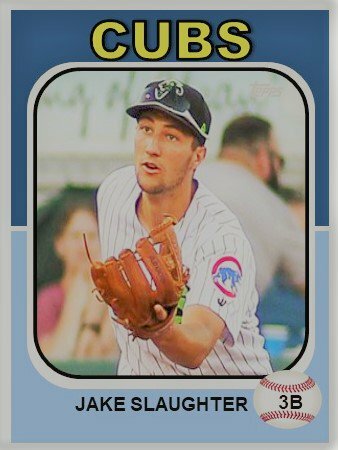 For Eugene Emeralds third baseman Jake Slaughter, he was first taken by the Cubs in the 2016 draft. Slaughter was a two sport star player in football and baseball in high school. The Cubs took him in the 36th round and the odds of signing him out of high school were slim. Instead, Slaughter stuck to his commitment to LSU. Is rare for a freshman to see major playing time at a major college program. But Slaughter did. In 2017, he played 53 games at shortstop. He hit .257 with a .358 OBP and cranked 3 HRs. He spent that first summer in college playing on the Cape, but that did not go well. When he returned as a sophomore, Slaughter moved over to third base and hit eight home runs in 2018 for the Tigers. His batting average dropped just a few bits as did his OBP. Because of his age (21), Slaughter was a draft eligible sophomore. 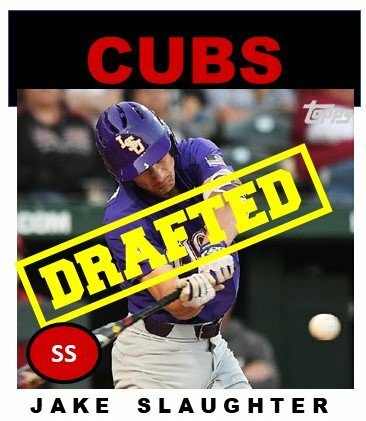 With his permission, the Cubs took him in the 18th round in hopes of continuing his development at the minor-league level rather than at college. Jake Slaughter’s first month at Eugene was not very good. He only hit .172. He is not the first college prospect to go to Eugene and struggle. Last year, that distinction fell to Jared Young, who didn’t start to turn it on until August. This year, Slaughter is echoing that type of season. The first month that I watched Slaughter, he just looked over matched. He was just a little too late on the fastball, he was being fooled by offspeed pitches, and he looked like he was in over his head. However, when he hit the ball, he hit it very hard. It didn’t necessarily go out of the ballpark, but he did put a charge into it. His BABIP was well under .300. Considering the fact that he came out after his sophomore year versus a normal junior year, I thought Slaughter might be behind for a while and it could take him a year or two to catch up. But things don’t always go according to plan. In mid July, new players came to Eugene. At the same time, Slaughter‘s performance at the plate began to improve dramatically. He started catching up to fastballs. He began recognizing pitches. He began laying off of pitches out of the strike zone. He began to strike out less and walk more. He doubled the number of his walks in one week. On Thursday the 9th, Slaughter had a 3-for-5 night with a grand slam and 6 runs batted in. That’s a pretty good night for anybody, regardless of level. Going forward. When I look at Slaughter, I don’t see who he is right now. He’s a guy who could add muscle very easily to his large 6’3″ frame. He’s a guy who could respond to coaching very easily. And I think, most importantly, he’s a guy the Cubs picked twice. They see something that they like and like a lot. 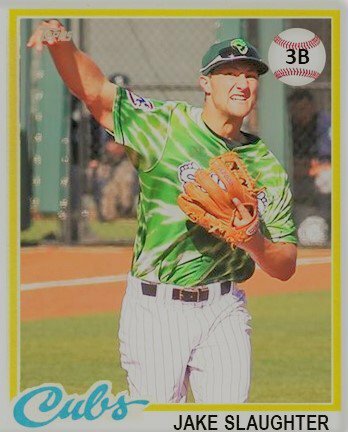 In trying to assess the type of player that Slaughter is going to be, more than likely, is going to come down to the ability of the Cubs’ development staff and his own desire to improve. He looks like a serious hard-core athlete. Everything he does looks very fluid and not forced. Nothing looks mechanical. It’s like he was born to be an athlete. How far that athleticism takes him remains to be seen. The next year in his career will be very telling. He needs to get his walk rate well above the lowly 4% it is now and to keep lowering his K rate. However, there are bigger questions. Will he add on some weight to his frame? Will he continue to improve at the plate? Will he stick at third or will he go to first base? Slaughter took a big chance on himself to come out of school after his sophomore year. Slaughter is betting on himself and he’s also betting on the Cubs to help him get where he wants to be.